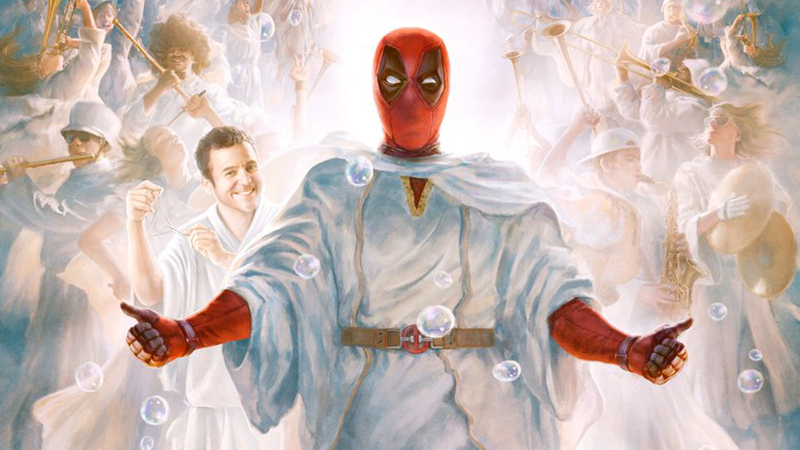 To kick off the holiday season audiences of almost all ages will soon be able to enjoy the Merc with the Mouth’s reimagining of ‘Deadpool 2’ filtered through the prism of childlike innocence. Once Upon a Deadpool was directed by David Leitch (John Wick) from a script by Deadpool writers Reese & Wernick and Reynolds and Drew Goddard. The cast includes Josh Brolin, Zazie Beetz, Morena Baccarin, Stefan Kapacic, Brianna Hildebrand,T.J. Miller, Julian Dennison, Leslie Uggams, Shioli Kutsuna, Karan Soni, Rob Delaney and Jack Kesy. Once Upon a Deadpool will have a limited theatrical release from December 12th through the 24th. For every ticket to Once Upon a Deadpool, $1 will go to the “Fudge Cancer” campaign.